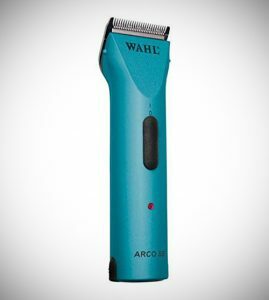 Wahl Arco SE Cordless Clipper Review - The Best Pet Clippers? 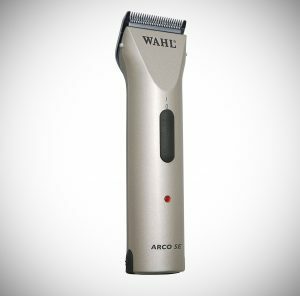 Wahl Arco SE Cordless Clipper Review – The Best Pet Clippers? When it comes clippers for your pets Wahl are one of the most popular options out there. But being popular doesn’t always mean a quality product. So, after using these clippers myself for over 1 year I have decided to share my thoughts to give you an idea of the quality of them and the features and functionality they provide. Well first of let’s talk about one of the elements that makes them stand out and that’s they are cordless. If you have ever tried cutting your pets hair with a regular wired set up it can sometimes be a hassle especially when your pet doesn’t want to sit at peace when you are doing it. Getting caught in the cables is a common problem. Of course, this also means you don’t need to be near a power outlet so you can cut the hair wherever you like – I personally do it outside now to stop the hairs making a mess inside. You simply can’t do that if you don’t have that cordless option well not without an extension cord which would be too much hassle anyway. So of course, with them being cordless makes them nuisances disappear. When it comes to battery life Wahl say you can get 80 minutes on one charge and in my usage in got 75 minutes which is about right. It charges in basically the exact same time (75 minutes) as well. In fact, Wahl have included 2 NiMH battery packs in the box so you switch one out for the other for double the amount of run time or just keep one as a backup instead. When it comes to the design they are available in a selection of different colors to suit your taste. They are very lightweight and comfortable to use somewhat thanks to the longer handle which also makes for cutting hair in some more awkward spots much easier. Due to the clippers not being overly big on the top makes for cutting on paws and ears much easier. These clippers are super quiet this is especially good because particularly if you have a younger pet or a pet that sometimes get anxious having a loud set of clippers is only going to make cutting that much more difficult and make them more nervous though thanks to these clippers being super quiet you shouldn’t have this issue. When it comes to length setting there are a host of different options so you can find the best option for each area. When it comes to the cutting itself, it works brilliantly, its seamless and never gets stuck or jammed. Whether you are clipping your new kitten or your golden retriever these clippers are going to be the perfect tool for the job. They have all the features and small elements that make them a great product where lots of other companies seem to overlook Wahl didn’t, you can easily see they have been very thoughtful and meticulous with their design and have created an excellent product!